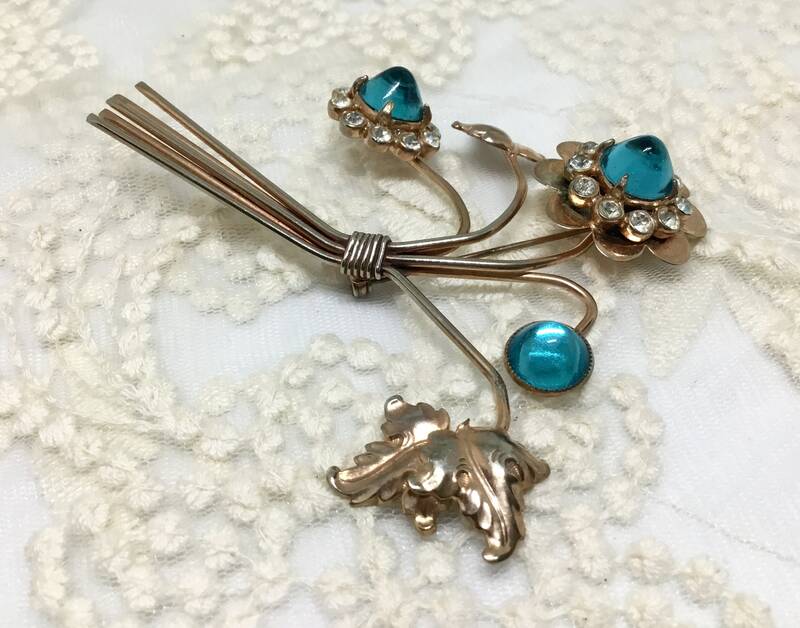 This is a stunning large vintage 1930s/1940s unsigned wire flower brooch. 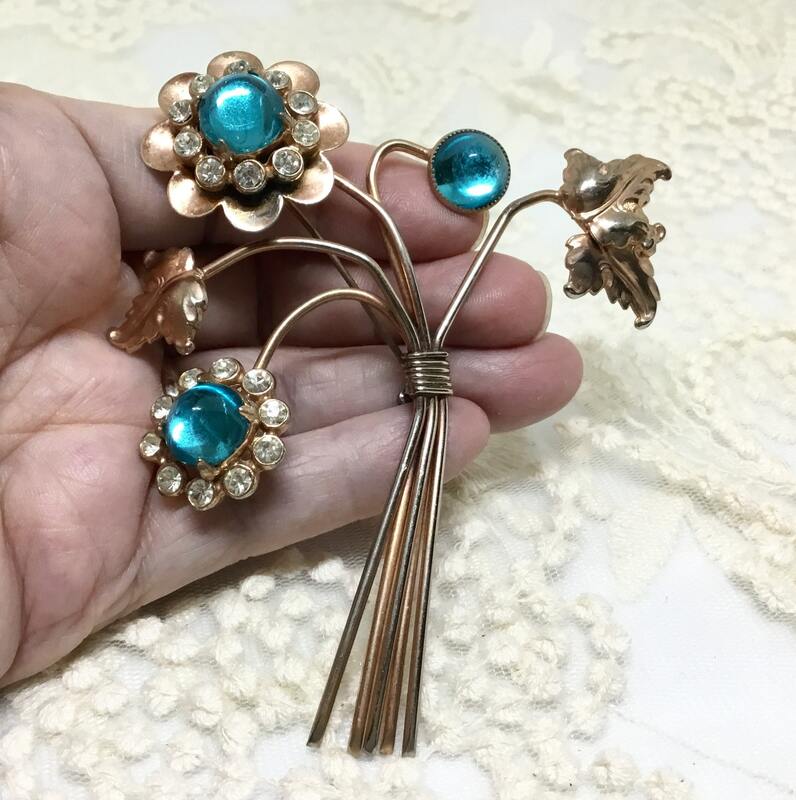 There are five goldtone coppery color wire stems with some finish wear leaving a great vintage patina. 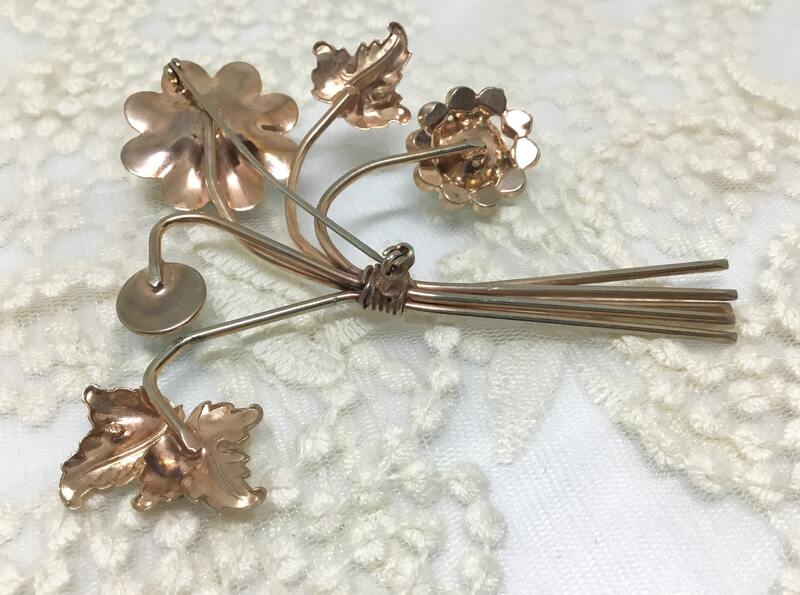 These gracefully curving stems are tied together with wire wrapped six times. Two of the stems end in nicely detailed leaf stampings. 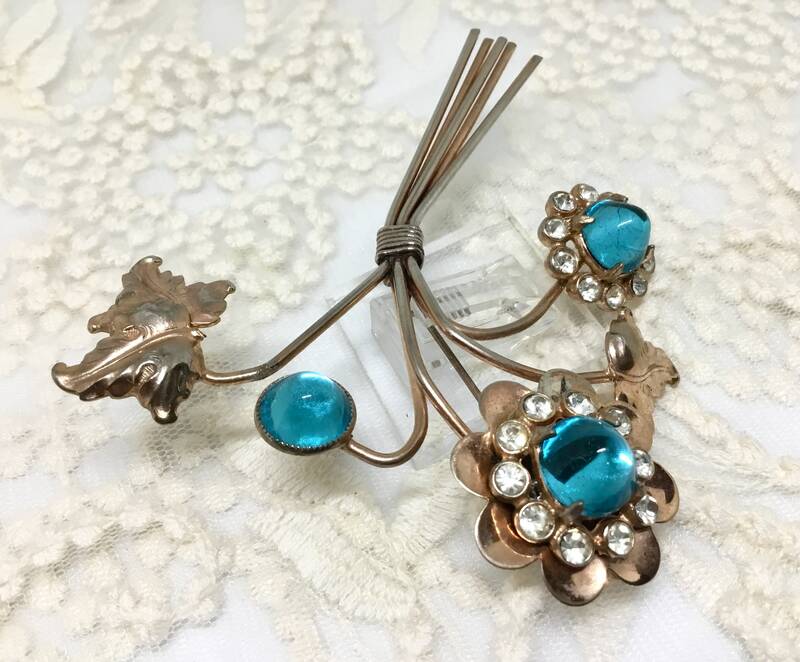 The hi light is the flowers with the wonderful vintage turquoise glass bullet/high dome cabachons. 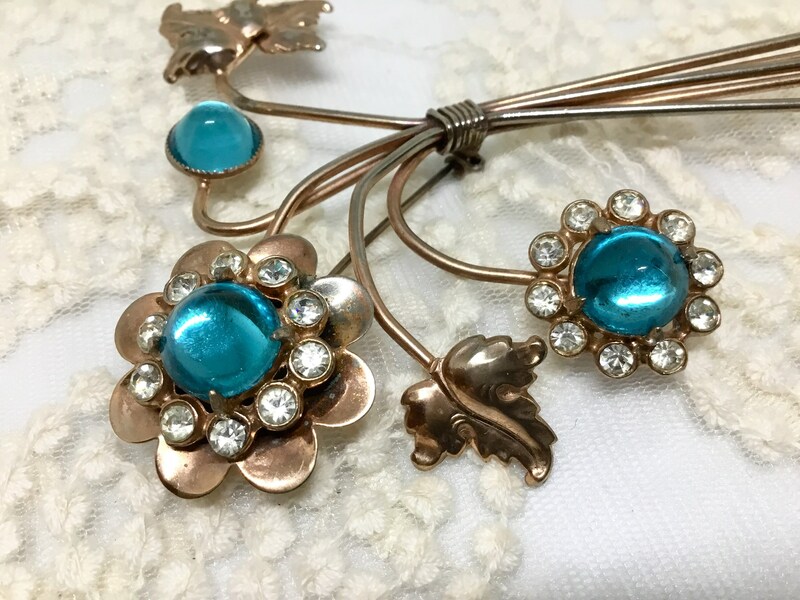 These cabachons used in vintage jewelry have a very high dome resembling a bullet. 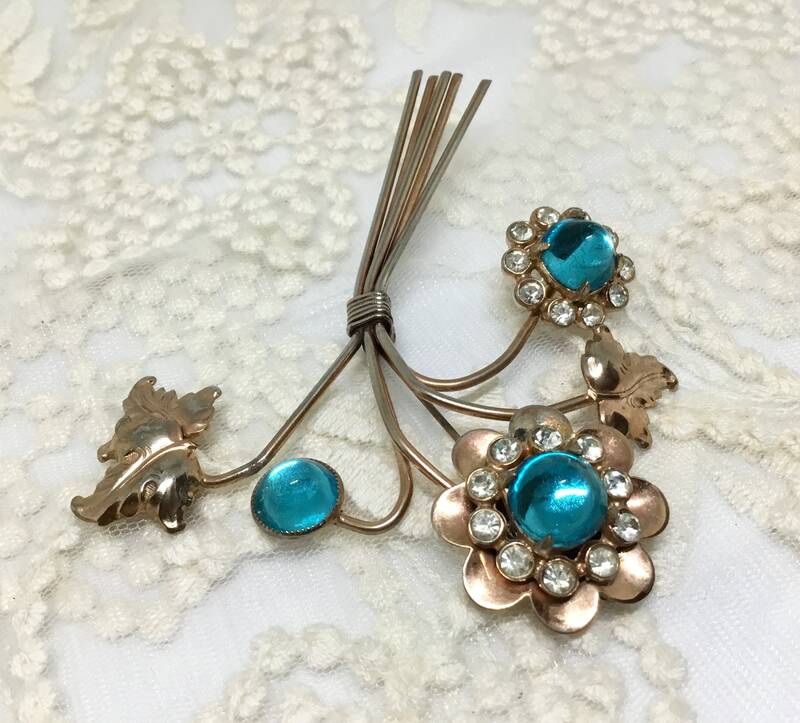 They have a flat bottom and were often prong set in costume jewelry. They were often fashioned of brightly colored cabachons or glass or plastic. 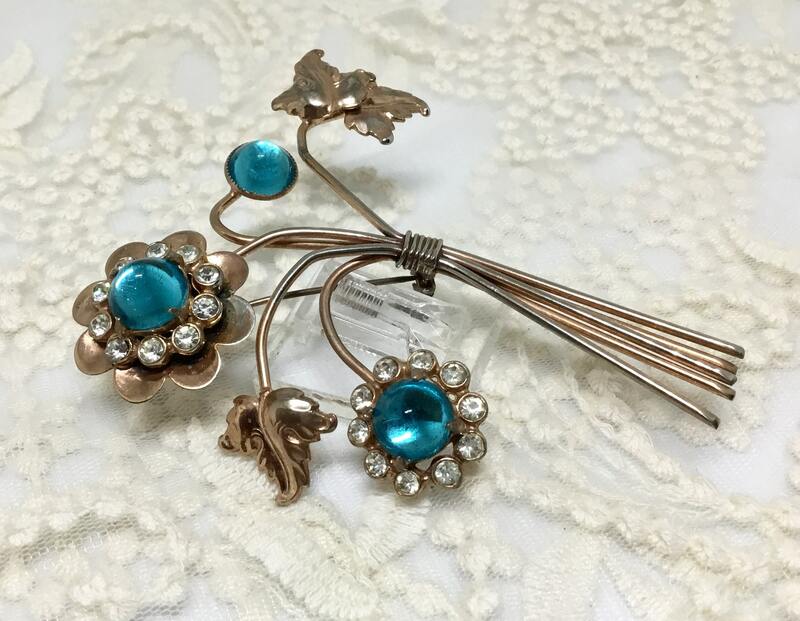 There are three bullet flowers in this brooch; one large flower with metal petals, a circle of clear rhinestones, and a center prong set bullet, one large flower with a circle of clear rhinestones and a prong set bullet, and a small bud with a bullet paste set in a thin metal setting. It measures 3 1/2” x 3” and the pinback is straight and works smoothly and securely. 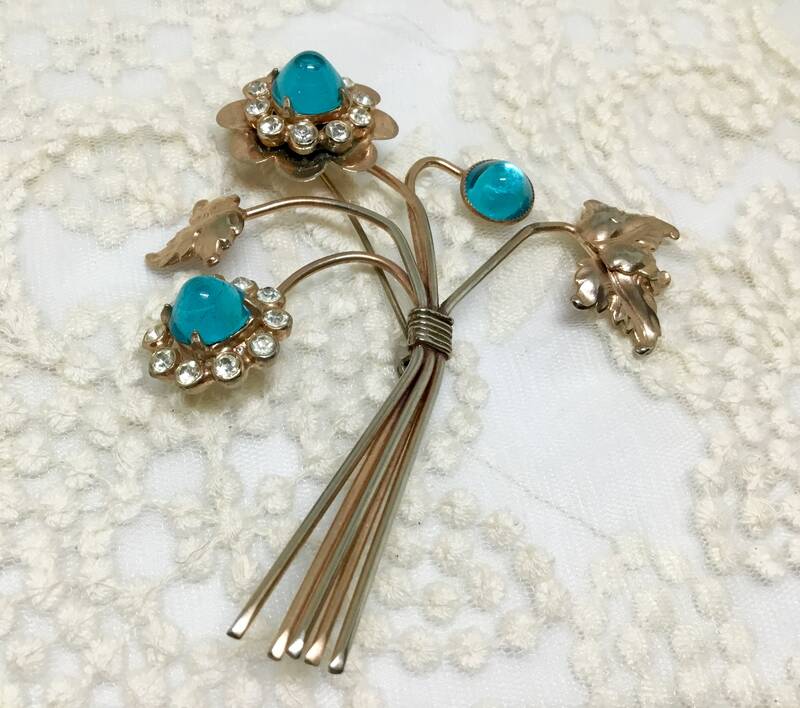 A great and unusual vintage brooch to add to your collection!